And another fabulous concentric cane paperweight made by Michael Hunter for Twists Glass in 2016. 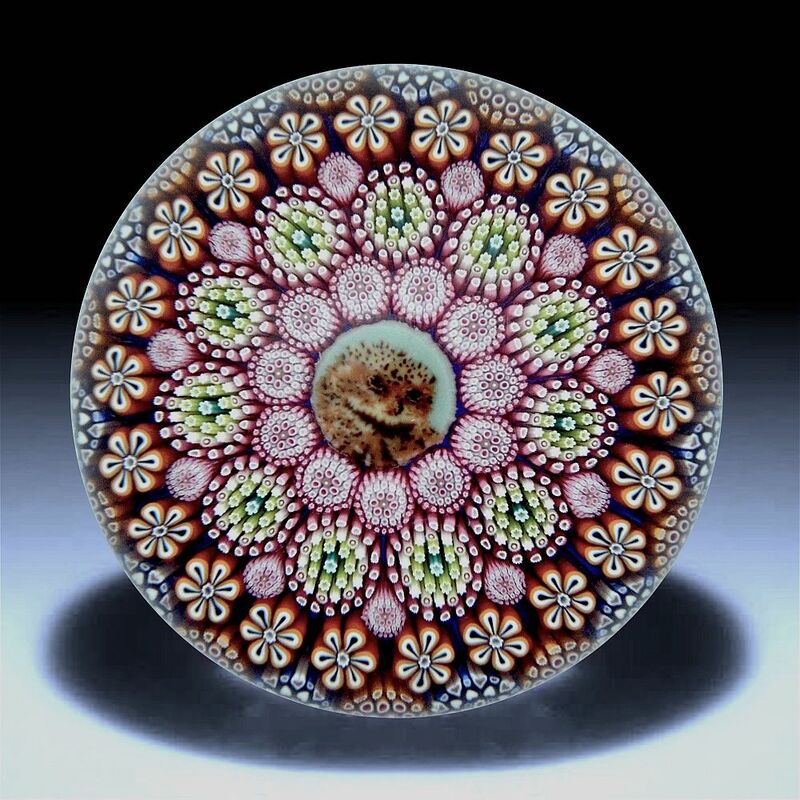 In the centre of the paperweight is an owl picture cane that is surrounded by 4 concentric rings of complex murrine canes with small spacer canes between the 2nd and 3rd circle. 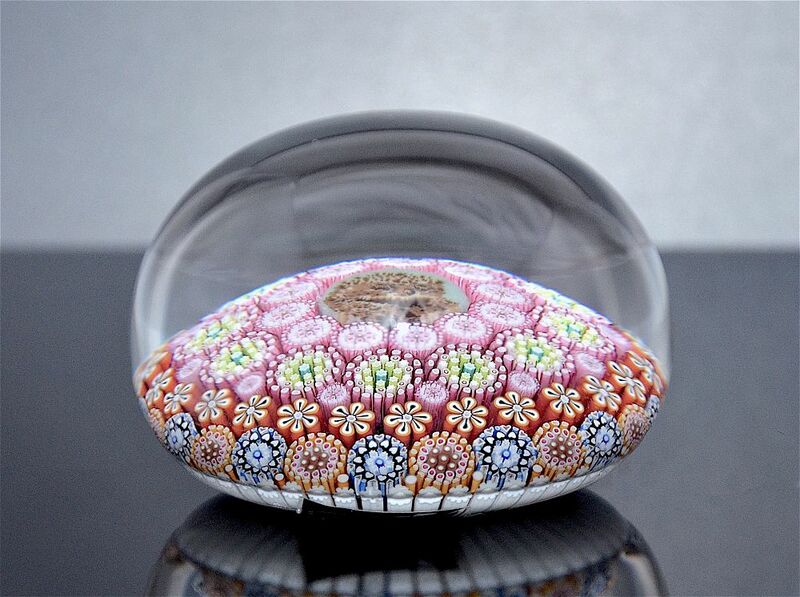 The 1st ring comprises 11 pink murrine canes with tiny hearts, the 2nd ring comprises 11 pink yellow and green murrines with stars, the 3rd ring comprises 22 orange & white flower murrine canes and the 4th ring comprises 22 murrine canes being 11 orange heart & star canes and 11 blue star & heart canes. The base is scratch signed "M Hunter Twists 16 1 of 1" and has Mike's personal "MH" signature cane and the Twists Glass studio label. It is presented in a white presentation box.